In four road starts, Newton has passed for 1,313 yards (328.3 per game) with four touchdowns while rushing for 137 yards and six touchdowns. He ranks sixth in the NFL with 2,885 passing yards and is third in the league with nine rushing touchdowns. Running back DeAngelo Williams has 16 career 100-yard rush games and when he has 18 or more carries, the Panthers are 15-3. When running back Jonathan Stewart has 15-plus attempts, meanwhile, the team is 14-3. Wide receiver Steve Smith leads the NFC with 992 receiving yards and in his past four games on the road, has 26 catches for 466 yards (116.5 per game) and three touchdowns. In his only game at Indianapolis in 2003, Smith had six catches for 103 yards and a touchdown. Rookie wide receiver/kick returner Kealoha Pilares had a 101-yard return for a touchdown last week, the longest in team history. Tight end Jeremy Shockey aims for a fourth game in a row against Indianapolis, including the postseason, with 100-plus receiving yards or a touchdown catch, and is expected to play after missing the Detroit game with a rib injury. Colts end Dwight Freeney needs 1 1/2 sacks to become the 26th player with 100 in his career since the stat became official in 1982, while fellow end Robert Mathis needs 1 1/2 sacks to reach 80 for his career. Cornerback Jerraud Powers aims for a third consecutive game with an interception, while second-season middle linebacker Pat Angerer has a team-high 105 tackles and a forced fumble. Statistically speaking, Carolina is 18th in scoring offense (22.5 ppg), fifth in total yards (400.9 ypg), ninth in passing (272.2 ypg) and seventh in rushing (128.7 ypg). Defensively, the Colts are dead last in points allowed (30.0 ppg), 29th in total yards allowed (390.6 ypg), 22nd against the pass (245.0 ypg) and 31st against the run (145.6 ypg). Painter had a career-high 281 passing yards against an NFC South opponent (Tampa Bay) in October and tied a career-best with two touchdown passes in that game. Running back Joseph Addai had 100 rushing yards with three touchdowns (2 rushing, 1 receiving) in his only game against the Panthers, but is questionable with a lingering hamstring injury. Rookie running back Delone Carter, a fourth-round selection in this past draft, ranks second in the AFC among rookies with 327 rushing yards, trailing only Miami’s Daniel Thomas (406). 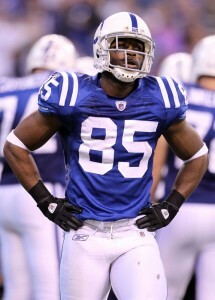 Wide receiver Reggie Wayne needs eight catches to have at least 50 receptions for a ninth consecutive season. In two career games against Carolina, Wayne had 11 receptions for 239 yards (21.7-yard average) with two touchdowns. Wide receiver Pierre Garcon (621 receiving yards) needs 164 receiving yards to surpass his career-best of 784 in 2010. Tight end Jacob Tamme had season-bests in catches (6) and receiving yards (75) in Indianapolis’ Week 9 loss to Jacksonville. For the Carolina defense, Johnson has 15 sacks in his past 17 games and rookie end Thomas Keiser had two sacks last week, the first two of his career. Linebacker James Anderson had an interception in the Week 11 loss, while strong safety Charles Godfrey has 56 tackles and two interceptions on the season. By the numbers, the Colts are 30th in scoring (13.1 ppg), 31st in total yards (275.7 ypg), 30th in passing (177.3 ypg) and 25th in rushing (98.4 ypg). On defense, the Panthers are second-to-last in points allowed (28.6 ppg), 27th in total yards (374.8 ypg), 17th against the pass (234.1 ypg) and 30th against the run (140.7 ypg). Newton has been the real deal throughout his rookie season and could be prolific against an opponent who’s had difficult times pressuring quarterbacks and keeping teams off the scoreboard. 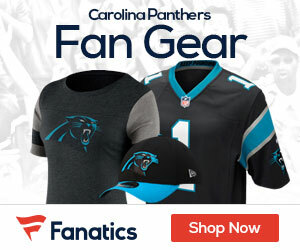 The rookie sensation did throw four interceptions last week, however, and will need to cut down on his mistakes to give the Panthers their best chance. The Panthers have been especially successful in games where Williams has gotten a lot of carries, which looks possible against a team ranked second-to-last in the league against the run. Generating offense on the ground could be an approach for the Colts as well, with Addai (if healthy) and Carter facing a Carolina defensive unit that’s just 30th in the league against the run. With the way Painter has struggled, that might be the best philosophy to take as well.